Obituary for Paul Torok | Providence Funeral Homes & Crematorium Inc.
TOROK, Paul, a long-time resident of Naramata, B.C. passed away at the age of 100 years on January 25, 2019. 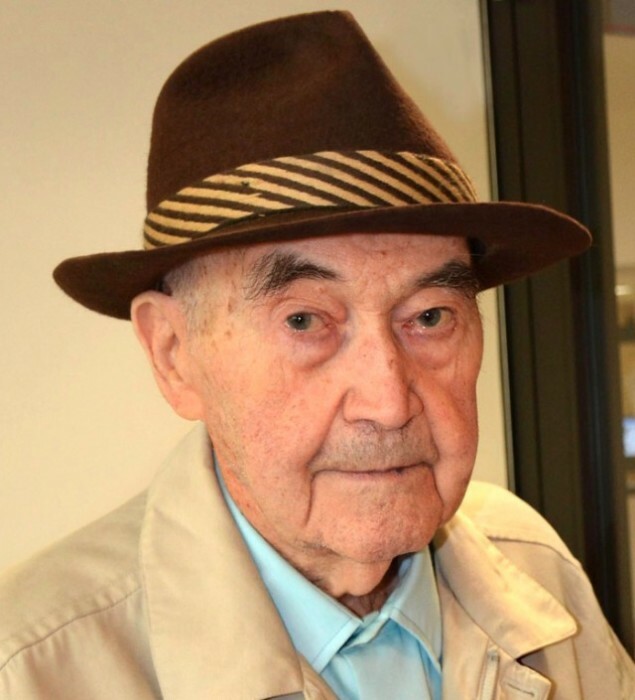 Paul was born on January 10, 1919 in Sacele, ROMANIA and in the summer of 1948 Paul and his wife had to flee the brutal communist regime in Romania for a new life which eventually took them to Canada. He had a tool and die business in Ontario for several years and then in 1975 he and his wife moved to Naramata, B.C. where he purchased a 10 acre property and started to grow an apple orchard. He eventually retired in Penticton, B.C. He will be remembered and lovingly missed by his wife Elizabeth, and his sons Paul Jr. and Roger (Edith), his grandchildren Paul Robert (Marcela) and Jennifer Andrea, and great grandchildren Nicholas, Sofia and Robert.